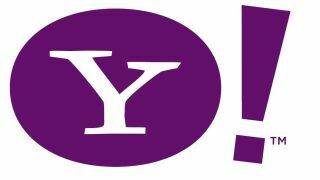 After being exposed for lying about false qualifications on his CV, Yahoo CEO Scott Thompson looked to dampen the row by apologising for the distraction it has caused the company. The boss wrote an email to staff, expressing his regret for the issue which saw a computer science degree he did not earn appear on his resume. The fake qualification, which appeared alongside a legitimate business administration degree on his Yahoo biography page, has caused many to call for his head. The Yahoo board says it is reviewing the situation. In the email Thompson says the row has damaged attempts to take the company forward since he replaced former CEO Carol Batrz, who was fired late last year. He wrote: "As I told you on Friday, the board is reviewing the issue and I will provide whatever they need from me. In the meantime, I want you to know how deeply I regret how this issue has affected the company and all of you. "We have all been working very hard to move the company forward, and this has had the opposite effect. For that, I take full responsibility, and I want to apologize to you." While Thompson's fate remains undecided, the saga has now claimed its first victim. Patti Hart, the director in charge of the search to hire a new CEO, says she will not stand for re-election.